These guidelines are for anyone, including but not limited to Logitech licensees, authorized dealers, distributors, resellers, developers, and customers, who wishes to use Logitech trademarks on promotional, advertising, instructional, or reference materials, on websites, products, or packaging, or in any other manner or capacity not specifically mentioned in these guidelines. Following these guidelines protects Logitech’s trademark rights and strengthens Logitech’s corporate and brand identities. By using a Logitech trademark, you are acknowledging that Logitech is the sole owner of the trademark, that you will not interfere with Logitech’s rights in the trademark, including challenging Logitech’s use, registration of, or application to register such trademark anywhere in the world, and that you will not harm, misuse, or make disreputable any Logitech trademark or any word or mark confusingly similar to Logitech’s trademarks. If you, in the course of using Logitech trademarks, acquire any goodwill in any of the marks, all such goodwill will automatically vest in Logitech and you shall take all such actions or execute any documents necessary to affect such vesting. You may use Logitech trademarks or product names to refer specifically to Logitech products. Logitech does not object to your making referential use of Logitech trademarks or product names (but not logos and design marks), provided you follow our trademark guidelines below and provided the referential use does not portray Logitech in a false light. Moreover, your use must not mislead the public as to Logitech sponsorship, affiliation, or endorsement of your company, products, or services. 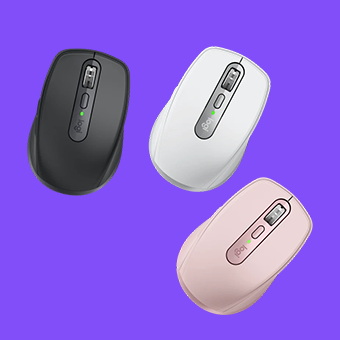 Proper identification of the Logitech trademarks includes marking them with the appropriate trademark symbol (® or TM), as shown on the product lists on our website, and using the correct product descriptor/generic noun. Do not vary the spelling, use a possessive or plural form, or use the trademark as a noun or verb. You may underline, italicize, or bold the name. Do not use the ® registration symbol when referring to Logitech as a company; use it only when referring to specific Logitech products and services. Both trademark symbols (® and TM) should be superscripted and made less prominent than the Logitech product/service name. "Logitech, Logi, and their logos are trademarks or registered trademarks of Logitech Europe S.A. and/or its affiliates in the United States and/or other countries." You may state, if true, that a Logitech product is compliant with your product by using an appropriate phrase, such as “for use with,” “for,” or “works with,” so long as nothing in the manner of your use would create confusion about the source or the manufacturer. The Logitech trademark must not be part of your product name, and must appear less prominent than your product name. You must not knowingly make statements regarding Logitech or Logitech products and services that are false, misleading, inaccurate, fraudulent, or potentially damaging to Logitech and its affiliates. You may reference Logitech and Logitech products if (a) the publication, seminar, or conference relates to Logitech or a Logitech product; (b) your name and logo appear more prominently than Logitech’s on all related printed materials; (c) you include a disclaimer of sponsorship, affiliation, or endorsement by Logitech; and (d) you include a trademark attribution that is compliant with the notice format provided above. Do not manufacture, sell, or give away merchandise items, including but not limited to mugs, T-shirts, etc., bearing Logitech trademarks, including logos, except pursuant to an express written trademark license from Logitech. Do not imitate Logitech’s logos, trade dress, or other elements of Logitech products, product packaging, or website in any of your materials, including but not limited to advertising, product packaging, websites, and promotional materials. Do not use or imitate any Logitech slogans or taglines. You may not use an identical or virtually identical Logitech trademark as a domain name or second- level domain name. In addition, do not use a Logitech trademark to refer to a category of products. Similarly, do not use a depiction of a Logitech product unless your application is specific only to that Logitech product. The Logitech corporate logo and other design marks may not be used for any purpose without an express written trademark license from Logitech. They are specifically designed forms, and may not be re-typeset or modified in any way. Detailed guidelines regarding the logo and design marks are included below. The Logitech logo and design marks never appear with any other symbol or icon, nor are they contained within a box, circle, or other shape. The Logitech logo and design marks may only be used to identify Logitech or Logitech products or services. The Logitech logo and design marks may not be used in a manner that would imply your company is sponsored by, endorsed by, or affiliated with Logitech. The Logitech logo and design marks may not be used in a manner that would imply goods, services, or websites provided by your company are sponsored by, endorsed by, or affiliated with Logitech. The Logitech logo and design marks may not be used in a manner that would disparage Logitech, its affiliates, or its products and services. The Logitech logo and design marks should never appear larger and/or more prominent than your trade name, service name, or trademark in any materials produced or distributed by your company. You must use the Logitech logo and design marks as provided by Logitech with no changes in the color or design. Digital or camera-ready art is provided for reproduction purposes only. Logitech reserves the right to object to unfair uses or misuses of its trademarks or other violations of applicable law.